Claire Foy and Matt Smith attend the screening of 'The Crown' at 92nd Street Y on Dec. 4, 2017 in New York City. Smith has defended Foy following unequal pay dispute for the co-stars. 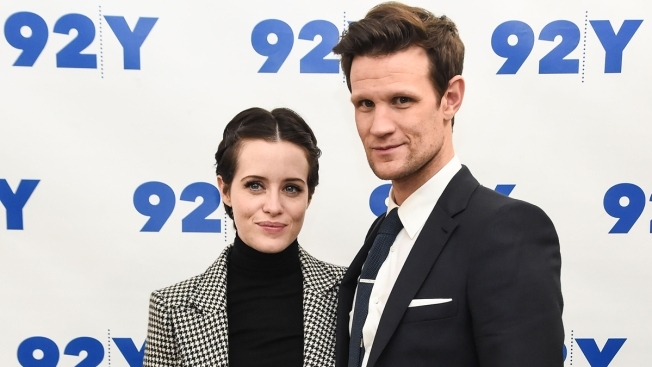 "The Crown" star Matt Smith says he supports fellow actor Claire Foy over the revelation that Foy was paid less than her male co-star in the Netflix drama. A producer disclosed last month that Foy, who starred as Britain's Queen Elizabeth II, was paid less than Smith, who played Prince Philip, because Smith was better known. Smith told The Hollywood Reporter he believes they should be paid "equally and fairly." He says he's pleased "it was resolved and they made amends." Smith did not explain what he meant. The gender pay gap has become a big issue in Hollywood after revelations that many female stars have been paid less than their male counterparts. Foy and Smith are being replaced by older performers in the next season of the show.